Aw, shucks….I’m an award winner! Woo hoo! 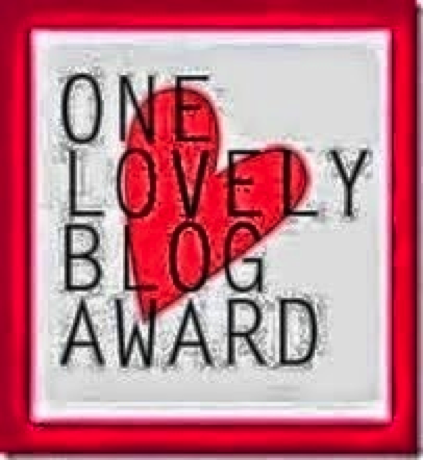 Zola, my friend and fellow ProGen cohort member, recently awarded me the “One Lovely Blog Award” This is awarded by a fellow blogger of blogs they admire. Thank you, Zola. Here are the rules as offered by Zola which came from Charley which came from….who begat…who begat…. 3. Name fifteen bloggers you admire (or as many as you can think of). 4. Contact those bloggers and let them know you’ve tagged them for the One Lovely Blog award. I have lived in Iowa (born, raised and educated), Oklahoma, Colorado, Florida, Ohio and now Washington. Hubby is an engineer and now plant manager for an asphalt products company. We have one daughter who lives and works in Boston. Whenever I am asked to play the icebreaker game of “tell us something about yourself that no one else knows,” I share that I spent one high school summer at Physics Camp. Actually Mary, a follower on this blog, may know that. I started doing genealogy when Alex Haley brought us “Roots”. It was a national phenomenon. I continued doing genealogy because I didn’t want to lose the women. Some genealogists are so focused on their surname—it seems to me an insult to the rest of the family tree, especially the women. Of course, 100% of my family was from regions with patronymic naming patterns and so, other than Bode (mother’s side), I do not have a “surname’ that is older than 150 years old. What I have done since the last posting….worked on about 4 other posts. I volunteered to facilitate the NGSQ Study Group for September. For these online events, an article is selected from the National Genealogical Society Quarterly (NGSQ), one per month. The group then meets online on the third Tuesday of every month to discuss about the article. The facilitator ‘s responsibility is to questions and lead the discussion. The goal is to educate ourselves about writing successful proof arguments by reading and analyzing articles selected from the magazine. About 8-10 participate in each chat. After reading a few of the “Q” articles, as they are often called, you realize that these are not about whether you have a family member mentioned in the article the discovery of the methodology the author used to uncover the answer to the research question. Each article is a case study of a proof argument. I thought I would blog about the study group and the questions I will pose to the group on 16 September. Sometime after the 16th, I will post a summary of the answers to the questions. The article: Lynn Fisher, “Uncovering the Linkenheim, Baden, Origin of Ludwig Fischer of Cook County, Illinois,” National Genealogical Society Quarterly, 99 (September 2011) 199-212. Based on Tom Jones’s book, Mastering Genealogical Proof, there are three methodologies for the organization of a proof argument: single hypothesis, multiple hypotheses or building blocks. (MGP p. 89) What type of proof argument do you think this article represents and why? The author says this was solved using “standard genealogical methods.” Do you agree? (NGSQ p. 208) What are your standard genealogical methods? Which of the tables helped your understanding of the argument? Did any tables seem superfluous or even hinder your understanding of the argument? Did the author convince you of her conclusion? There are different approaches the author could have taken in writing her conclusion. Discuss some alternatives for this article. This article had a Genealogical Summary. Have you every written one? If so, tell us about your experience. What style did you use — Register or NGSQ? What did you learn from this article that you can apply to your own writing or research? Thanks to Patty McIntyre for organizing us and being a great cheerleader for the group. If you would like to join contact Patty at linked2ancestors@gmail.com. What I have done since I last posted: Went to yoga! restrategized my submission to BCG for certification. 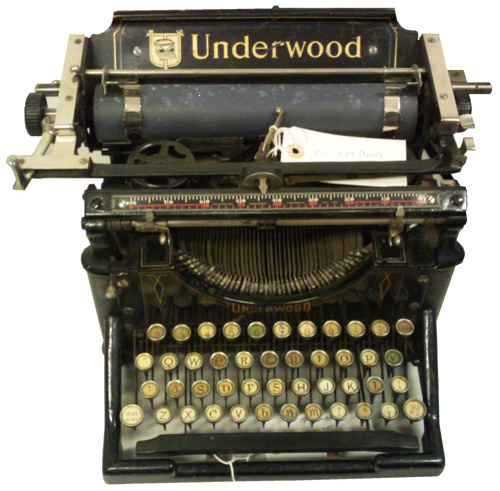 I am transcribing a different document. got pretty far with it. woohoo! filled out an evaluation about the Washington State Genealogical Conference; got to final draft on the client report and worked on a couple of my new presentations. 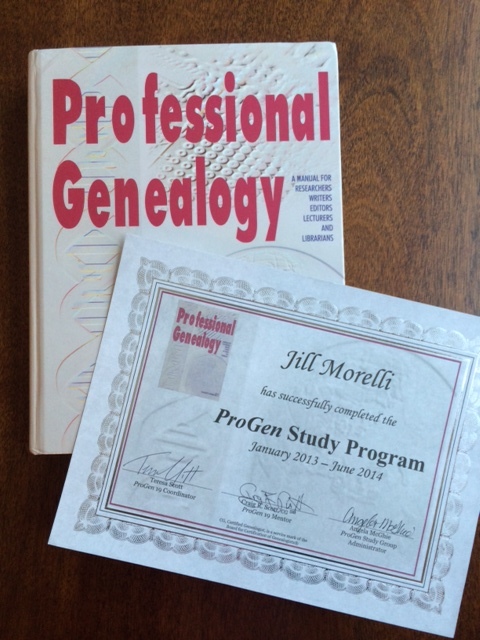 Cyndi Ingles (of Cyndi’s List) and Mary Kathryn Kozy recently asked (via Facebook) Miriam Robbins and me to comment on whether they should take the ProGen Study Group classes. Regular blog readers know that I enjoyed the experience and many of the class assignments precipitated blog postings. I decided to quote myself, with some minor editing for flow, what I posted on Cyndi’s page. 1. Life gets in the way. 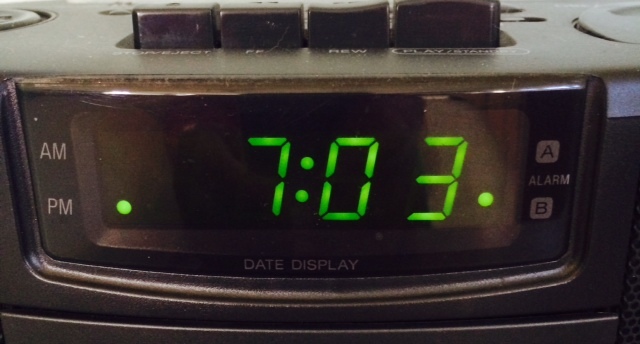 You do need to prioritize getting the assignments done, on time. There will be times when you won’t (or don’ want to) but then you still have to do them. 2. If you are not committed to doing the program, don’t sign up. Sounds simple but you are cheating the cohort if you drop out. 3. If you are not planning on starting (or having a business) many of the assignments seem less interesting. A friend of mine who has no intention of starting her own business did not put much effort in those related to business inception. Why you should do it…. 1. Gives you a discipline about what you know you should do anyway. 3. You will get out of it what you put into it. I always strove for a very good product to turn in. Sometimes, I accomplished my goal and sometimes I did not. But, there was nothing to gain by letting the assignment go until the last minute. I got a lot out of the program because I felt I put a lot into it. 4. You need to be open to the criticism of the group. While you may disagree with some of the comments, others will make a significant difference in how you see your work. 5. I enjoyed (most) the assignments. 6. The class definitely elevated the level of my genealogy work—perhaps substantially. 7. I feel much more confident in applying for certification. 9. You will see different ways of accomplishing the same task. Then you can pick the one that you liked the best. 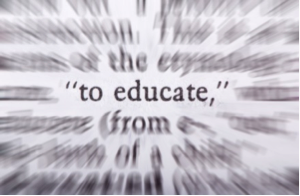 I am a “professional student.” I love the act of education. I think you both would be extremely successful in the class and bring the same kind of life to the group that we had in ours. What I have done since my last posting: my lecturing is certainly ramping up this fall. I got my first two all-day sessions (3 presentations each). Some of the new speaking engagements are due to my friend Eric recommending me where he had other commitments. Thanks, Eric, for the recommendation–big shoes to fill! You can see my schedule on Genealogical Speakers Guild. I will have to pace myself in November! I am therefore building my resume of lecture topics. Right now I am working on internet evaluation for quality of evidence, an overview of Ostfriesen culture and society, unraveling family traditions, and the non-population censuses. I am also reading a lot about Swedish agrarian reform in the late 1700s and into mid-1800s. I am in the process of requesting the mental health records in Illinois on Dirk Bode. That will be another blog posting. I also have worked on my transcription (changed the document) and the KDP for certification. I have been working on my Case Study (proof argument) for my ProGen assignment. This is an assignment requiring a significant commitment of time if one wants to do it well. In the first month we created a draft document for cohort review and in the second month we incorporate the comments and complete the paper. We are in the second month; the paper is due to be posted no later than the 25th of this month. One of the areas where I struggled was the selection of a topic or focus, both for ProGen and the BCG Case Study. Perhaps you also have that problem, and my struggle and how I overcame it, might help you. I elected to focus on the determination of the parents of a client’s grandmother, an Irish immigrant in the early 1900’s. I knew that a problem based on work for a client with only a two month window to write the argument would never rise to the level of a “thorough search” (GPS Element #1) as I was unwilling to approach the client to pay for additional documents and I was uninterested in paying for them myself. I included that clarification in the ProGen paper and cited the documents that would complete the study. I obviously do not have that luxury with the BCG Case Study. But, let’s go back a year or two…. I have been trying to understand what constitutes a good topic/focus for a genealogical proof argument for some time. At first I thought I had no eligible foci! They all seemed obvious to me–so what was the big deal? I kept looking for brick walls that hadn’t been yet solved that I could use for the proof argument. This was the wrong approach. I was focusing on filling in a blank on a pedigree chart, rather than writing about the thoughtful analysis of a problem. I needed to think logically like a mathematician where “if a=b and b=c then c=a.” So, my writing of a proof argument was the culmination of folloiwng the GPS and presenting the conclusion in a manner that was convincing to other genealogists. My quality of research would determine the veracity of my work as it would be vetted by other genealogists. When I made that shift, I realized that every decision we as genealogists record is a proof candidate–whether it is a proof statement (short), proof summary (longer) or proof argument (complex). When I realized the definition of “direct evidence” and “in conflict” could pertain to any individual in my database that had multiple birth years (and I have a lot of those), I realized that I was thinking too small. And, when I realized that it would pertain to any decision we make as genealogists, I went from having no potential cnaidates for a proof argument to having an overwhelming number of options. I also realized that when I made that shift, I had completed my shift from a “pedigree blank filler” to a genealogist. It was a heady moment. Do you have an immigrant or someone who moved from one place to another with a relatively common name? Then you might have the opportunity to use indirect evidence to prove that your guy in location A is the same as the individual in location B. Do you have a family tradition (event) that you proved true or false? This, too, might qualify. What I have done since the last posting: presented the GPS Element #2 to SGS, rewritten the presentation to prepare it for a lecture capture to submit to NGS for consideration of it and others for the 2015 conference, did a literature search in preparation for my major article for APG on gender balance in genealogical peer reviewed journals, and prepped for the SGS Board meeting which I will not attend due to a conference (work related) that I am attending in CA. I am also gathering background for a paper on my great grand uncle who was “housed” in the Elgin (IL) Asylum for the Insane from c. 1878 to 1906, when he died. I want to find out what some of his experiences might have been. In the 1880 DDD census he is listed as a chronic maniac and locked up 24/7. Part of the reason why I am avoiding using my own family for the ProGen assignment is that I am not completely happy with my selection for my BCG Case Study and may change it. I want to reserve as many options as I can. Board for Certification of Genealogists, The BCG Application Guide (http://www.bcgcertification.org/brochures/BCGAppGuide2014.pdf : accessed 14 March 2014), 6. National Genealogical Society Quarterly, 87:3 (September 1999) 163-217.